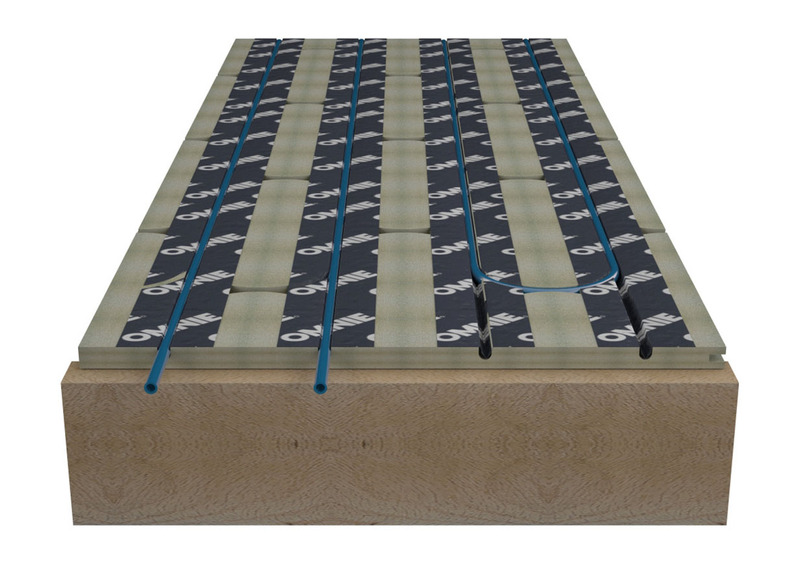 LowBoard RdB is a low build up underfloor heating system and acoustic separation in one. It is designed to dampen vibration and attenuate impact and airborne sound passing through floors with minimum loss of floor height. 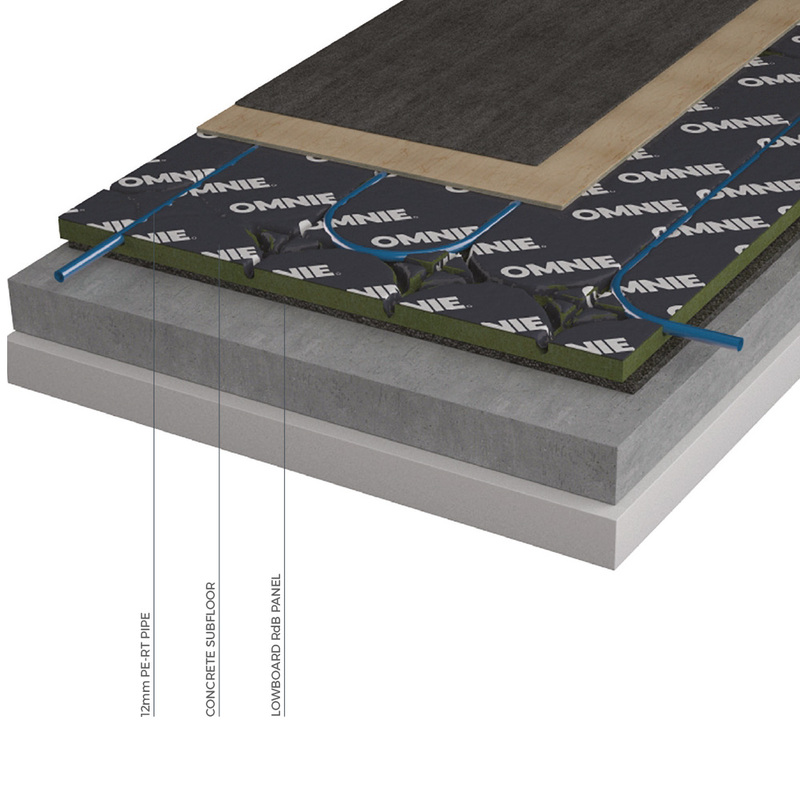 The system can be laid on solid or timber floors and is supplied with edge isolation strip. The LowBoard RdB panels comprise of a 15mm moisture resistant high-density wood board combined with an 8mm acoustic rubber offset to provide a lap joint. 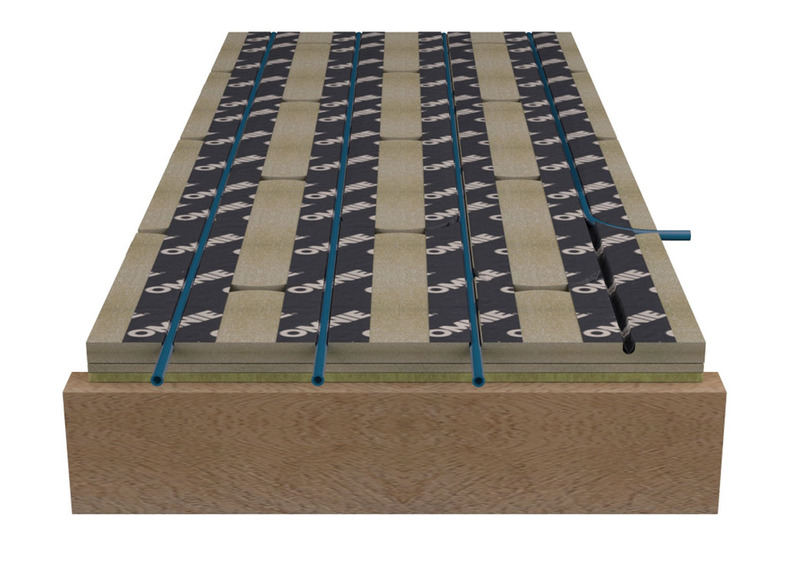 As per our standard LowBoard 15 product the wood board layer has grooves routed to accept 12mm pipe and an aluminium layer bonded to the top which acts to spread the heat through the floor. The panels are laid in a brick pattern with the pipe installed by piercing through the soft temper aluminium diffuser into the multi directional channels. A finished floor deck or 6mm ply, MDF or similar is floated or mechanically fixed over the LowBoard RdB panels to complete the floor. Looking to use LowBoard® RdB in your next project? Heat outputs are dependent on the water temperature, floor construction, system dimensioning, floor finish & design conditions. Please call 01392 36 36 05 to discuss your specific requirements. Heat outputs below are based on 12mm PE-RT pipe at 150mm centres with 6mm ply laid under carpet and 12mm ply under tiles.